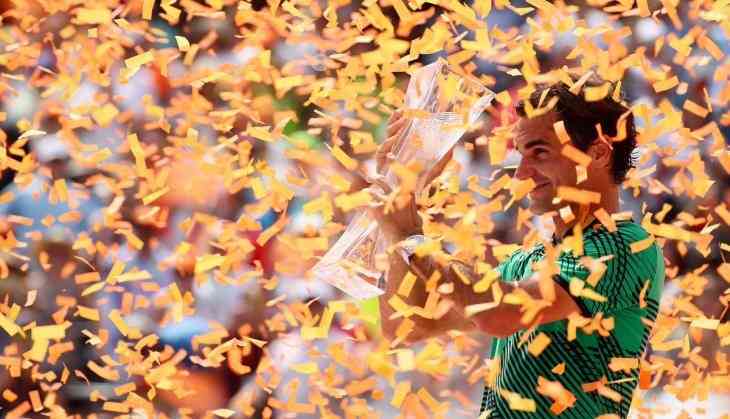 Roger Federer continued his dominance over of Rafael Nadal by crushing the Spaniard 6-3 6-4 in the final of the Miami Open. Federer, after returning from a six-month injury absence, broke once in each set on the Crandon Park hardcourt for his fourth consecutive victory over the Spaniard. However, Nadal still leads in head-to-head record at 23-14, entirely due to his superiority on clay. But Federer now leads 10-9 on hardcourt. Federer, who beat Nadal in the 2017 Australian Open final and also at the 2017 Indian Wells Masters, has now beaten Nadal in four straight matches for the first time in his career. Federer improved to 19-1 this year, winning the Australian Open in five sets over Nadal, and Paribas Open in straight sets over Stan Wawrinka. His only loss was at the hands of Russian Evgeny Donskoy in the second round in Dubai. It was the 37th meeting between the Swiss and Spaniard, and the third this year. Meanwhile, Sania Mirza and her Czech team-mate Barbora Strycova lost in the Women's Doubles final of Miami Open tennis tournament. The third seeded pair was defeated by unseeded Canadaian-Chinese pair of Gabriela Dabrowski and Xu Yifan 6-4, 6-3. Mirza and Strycova have been in five finals since they paired up last summer, winning two of them. Sania Mirza was playing in the Miami Open for the 15th time this year. The winning team was playing together for the first time. No Canadian or Chinese woman had ever won the doubles trophy at the Miami Open.